I want to teach. But I simply do not have the emotional stamina. I can think of several careers where it’s common to find yourself crying in your car, but teaching shouldn’t have to be one of them. I don’t like to cry in my car, but at least I’m not the only one who does it. President Obama recently spoke against the extra tests we give our students. But I believe that this is only part of the problem with public education – especially here in Florida where the need for remedial college classes has risen for high school graduates who’ve “earned” As and Bs. How are they going to know if they got the answer right or wrong if I don’t tell them? Isn’t that what education should be – learning how to get the right answer? How will they know if it’s right or not if I don’t tell them? I earned my Bachelor’s Degree in English Literature so that I could teach – not babysit. After four months of grading approximately 140 students for accuracy, guess what happened? Yep. I burned out. I was heartbroken. I love to be in the classroom. Around the time I resigned, my 11th graders had just finished reading The Crucible and watching The Village. I assigned them to write a compare/contrast essay which I never got to read. Cue a good cry in the car. Once I identified gluten as the culprit for my bad health, I thought that I’d like to give teaching another try. So I did. Last month, I accepted a long-term substitute position for an 11th grade English teacher who was on a military assignment. I was excited. The textbook was better, I had a projector which plugged in to my computer, and this time, 3 of the 5 classes would be full of honors students. A breeze, right? I feel like I spent last month herding cats. Even the honors students are so spoiled from “completion grading,” half of them didn’t bother to try. They realized I graded for accuracy, but didn’t seem to care. Sure, I had several star students (whom I very much appreciated), but these were HONORS classes. They were ALL supposed to be stars. Apparently, I’d stumbled into some unicorn dust. It must have given me a false sense of reality. At least it was gluten-free. Seriously. Can you believe that answer came from two honors students? Why should they bother even to copy a correct answer when most teachers don’t have time to read it anyway? And to be honest, I literally gave up my life for the month to grade for accuracy. I didn’t have time to wash dishes, make meals, or help my own kids with their homework. I barely had time to keep up with laundry. So yes, again I found myself crying in my car. But it wasn’t just the piles of half-hearted answers I graded, my burned out feeling came from the attitude. With the two standard English classes, if I asked them to stop the chatter because I was teaching a lesson, I usually got a sheepish smile and a “Sorry, Miss” in response. In the three honors classes, I received all the snark of an 80’s Valley Girl. How dare I ask them to stop socializing so they can learn to analyze an educated argument? And yet, when I asked them if they planned to attend college? Most raised their hands. I doubt any college professor (or workplace boss for that matter) would accept “schedule” for “shelter” as good enough. I don’t blame teachers who don’t grade for accuracy. It’s an impossible task to grade over 100 papers several times a week on top of all the other teacher duties. Toss in the interruption of standardized tests and retakes, and you’d cry in your car too. If I’d had an 80 student limit, I’d have been stressed, but not crying in my car. I wouldn’t have had to become passive-aggressive about constantly talking over conversations. I wouldn’t have to spend half my teaching time on classroom management. But there aren’t enough teachers for an 80 student limit because it doesn’t pay enough for most people to justify crying in the car. Hillsborough County once had a 1 cent sales tax to pay for a new football stadium. But I suppose education isn’t as important as football. You get what you pay for. I refuse to be miserable for so little pay. It isn’t fair to my family. Are you a burned out teacher? How would you fix the system? Do you have a job where you are regularly compelled to cry in your car? First Amazon Review of The Stone of Kings! I’ve got a post started to introduce the character Ardan from The Stone of Kings. 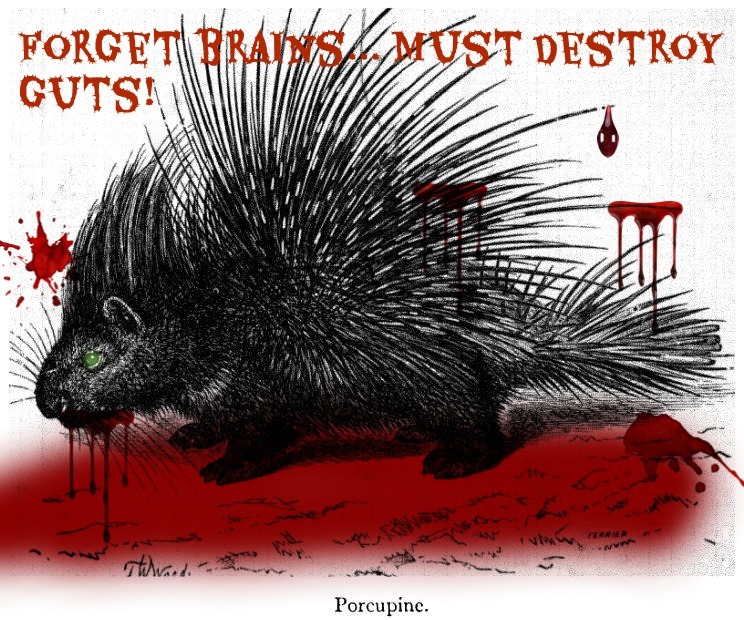 However, the zombie porcupine has been pitiless. It kept me from finishing it today. I’m hoping to have it ready next week. But I couldn’t let the day pass without sharing my first Amazon review for TSOK! I’ve refreshed the Amazon page more than is probably healthy. Some authors make a point to not read reviews. Maybe I’ve got a thicker skin, because I look for people to tell me what they like AND what they don’t like. I crave to make myself a better writer and need to know where my writing should be tweaked. Due to a recent re-exposure to gluten just one week shy of when I was supposed to start feeling better from my last exposure, I do not have a post ready for today. I do however have a lesson learned since this exposure happened almost the exact same way as the last one. I’ve learned not to order gluten-free pasta just because it’s the least expensive thing on the menu. Now if you’ll excuse me, I’m going to curl into a ball and hope that the porcupine, which I seem to have swallowed, gets gunned down by zombie-grade rifle. Okay, Apple! Next time, I’ll fork over the money and invest in your brand. 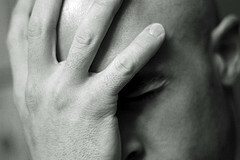 *Sigh* Image attributed to Brandon Grasley via flickr. First of all, my sincere apologies to Louis Spirito. Between computer problems (it’s less than a year old for crying out loud! ), getting ready for the first day of school, The Stone of Kings release, and being “glutened” on top of all of that, I believed I was ready for this post. I had my questions about my writing process answered and organized at least a week ago. The only thing I was missing were 2 other authors/bloggers to carry on the torch. The one author that wanted to participate also has small children, and I think she’s in my busy-ness boat. However, I would be totally remiss if I didn’t point you guys in the direction of Mr. Spirito’s post in the blog hop. His book GIMME SHELTER looks well worth the read. 😀 Check out his answers to his writing process! When I have the chance, I’ll answer mine and have them ready for Mondays post instead. Louis Spirito lives in Malibu with his wife Eugenie and their rescue dog, Tanner. He has written for film, TV, stage, magazines and newspapers. GIMME SHELTER: A Damaged Pit Bull, An Angry Man, and How They Saved Each Other is his first book. Lou describes his gritty but heartfelt memoir as…“The Sopranos” meets “Marley & Me: with a twist when a volatile, chronically ticked-off writer from a “Goodfellas” family struggles to help an abused, timid, big-hearted shelter dog.” It’s available at Amazon and B&N. When he’s not writing, he works with juvenile inmates at the L.A. County Juvenile Probation Camp Schools in the Santa Monica Mountains. For fun, he teaches Okinawa GoJu Ryu (“Wax on; Wax off”) Karate and Tai Chi. In their downtime, Lou and his wife travel to Italy where they were married and where they have dual U.S. – Italian citizenship. For more on Lou and GIMME SHELTER visit his website and blog: www.louisspirito.com, tannerthepitbull.blogspot.com. Hmm…Frigid, Churning River, or Gluten? I’ll Take the River! That’s obviously not me. But I’m pretty sure that’s the falls that ate my sunglasses. Image attributed to anoldent via Wikimedia Commons. This past week, we’ve been on vacation in Helen, Georgia. If you ever get the chance to go, I highly recommend it. It’s a cute, touristy town in the Northern part of the state and it’s modeled to look like a Swiss village. 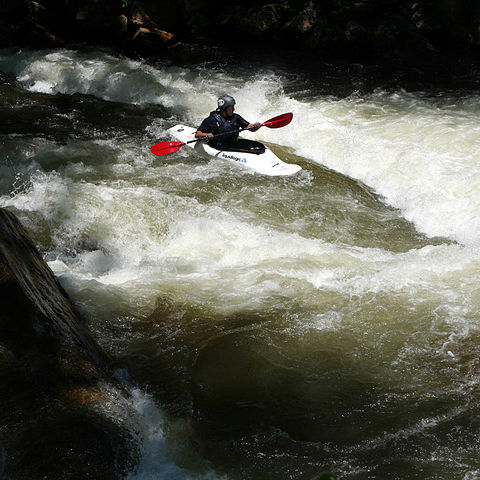 On Wednesday, we took a day trip to go rafting down the Nantahala River in North Carolina. The river flows from a dam. The water is pumped from the lowest part of the lake which is always around 40 degrees. After blending with the rain water and regular river water, it runs about 50 degrees. When we started out, the double paddle I was given kept dripping the frigid water on my legs. I paddled on my inflatable kayak (funyak) with my husband and his cousin in their funyaks. The first time we hit a rough rapid, the water splashed on my face and body and made the drips coming from my paddle inconsequential. We floated down, occasionally getting splashed for about 2 hours. One splashing dribbled through the back of my life vest and it felt like someone had dropped an ice-cube down the back of my swimsuit. Then we hit the last rapid. It’s the only class III on the commercial part of the river. Not too rough if you’re in a large raft with lots of other rowers. But by yourself, it’s a different story. I had gone on this one before in a funyak, so I figured I knew what I was doing. My husband went first, and made it through okay. Then it was my turn. The white water was pumping through the stones and I hit it with my left side showing. I think that was where I went wrong. The current took my boat and flipped me over. I gripped my paddle as hard as I could just for something to grip. I was completely disoriented. My brain didn’t register the cold until my face broke the surface. I tried to breathe because I knew that the current would pull me back in again, but my lungs wouldn’t expand because they were frozen by the water. I gasped in short panicked bursts. This felt weird, because I wasn’t panicked. What would be the first thing to go through your mind? What if the current bashes my head on a rock? What if my foot gets stuck in some stones and the current makes my legs or knees break? What if my back hits a stone and breaks it, paralyzing me? The first thing that ran through my mind was, this would make a great description for a story! The writer’s mind apparently puts the story first. We can’t even take a vacation without thinking about plot points. A man on the river bank threw out a rope and pulled me out of the current. When I tried to stand, I realized I needed to take it slow. I was still dizzy from being tossed around like my four-year-old’s stuffed Mickey Mouse. When I tried to walk, it felt like my feet had turned into blocks of ice. The muscles in them refused to work but the ones in my arms were going spastic with shivers. Then I realized that my third pair of sunglasses this trip, were missing. Charlie had snapped the first pair, William stepped on the second, and now the river had claimed the third. At least, I noticed that my hubby had managed to grab hold of my funyak before getting out of the river himself. His cousin made it through the falls just fine too. Two nights later, we all went out to dinner, I ordered gluten-free rotini pasta. Like the river, I’d been here before, not had any trouble with the food, so I felt pretty confident about what I was eating. Then I saw the shell. About halfway through my meal, I spotted regular, wheat, pasta shell lurking among my gluten-free rotini. Remember the splash of river water that felt like an ice-cube was sliding down my back? Somehow the river found its way to the restaurant because I felt it again. Sure enough, though I obviously didn’t eat the shell, it was enough to contaminate my dinner. Two hours later I was squirming with abdominal cramps and nausea. Ugh. At least it happened on the last night of our vacation. It’s going to be a loooong seven weeks. Given the choice between falling in 50 degree water or eating gluten…I pick the water! What are some of your adventures? Would you do them again? If faced with potential life-threatening danger, would your life flash before your eyes, or would you want to put the experience in a book? We took the boys to the children’s museum where there is a play grocery store. Charlie pushed his cart up to a set of shelves and pulled a box down. Then he used his finger to “read” the ingredients to make sure it was “gluten-free.” It was very surreal for me to see him do that! I had no idea he was paying that close attention to me! 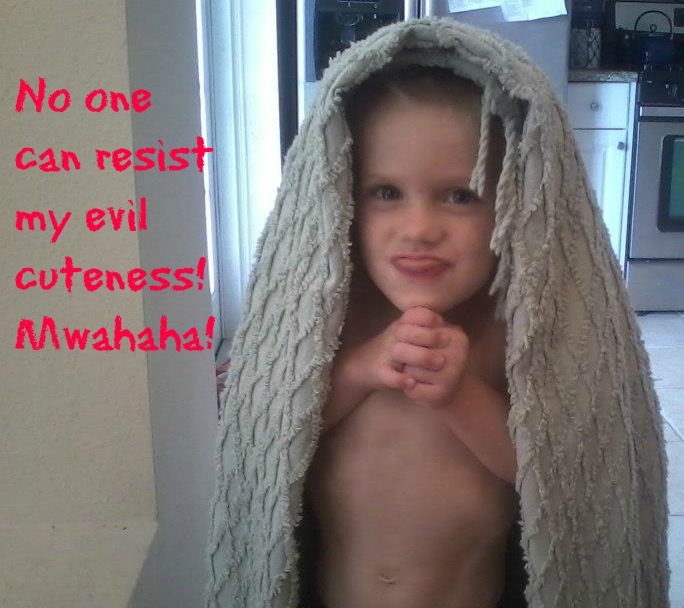 What are some of the awesomely funny/sweet things your kids say and do? Um, yeah, the boys eat pizza at least once a week. Maybe we should have shelled out a bit more for Epcot tickets instead. When I grow up I’m going to be an airplane pilot, then a police officer, then a train engineer, then I’ll be a car. Because of my sensitivity to gluten, we don’t normally bother ordering out for pizza. When it’s on sale and I have plenty of coupons, I’ll fill our freezer full of the store kind. Unfortunately, when it’s on sale, the cheese-only pies usually go first so we end up with a bunch of pepperoni pies. Charlie doesn’t like pepperoni and will pick them off. Bring Back My NaNoWriMo Attitude! I feel as if it will take the strength of two superheros to get me out of my slump. 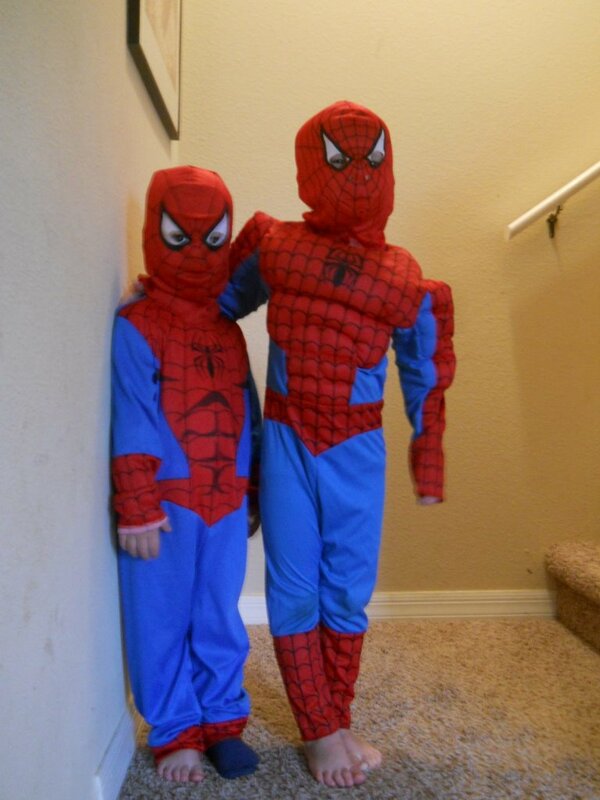 Rescue me, Spider-men! This will be short, because I feel broadsided by life and gluten. But not to worry. 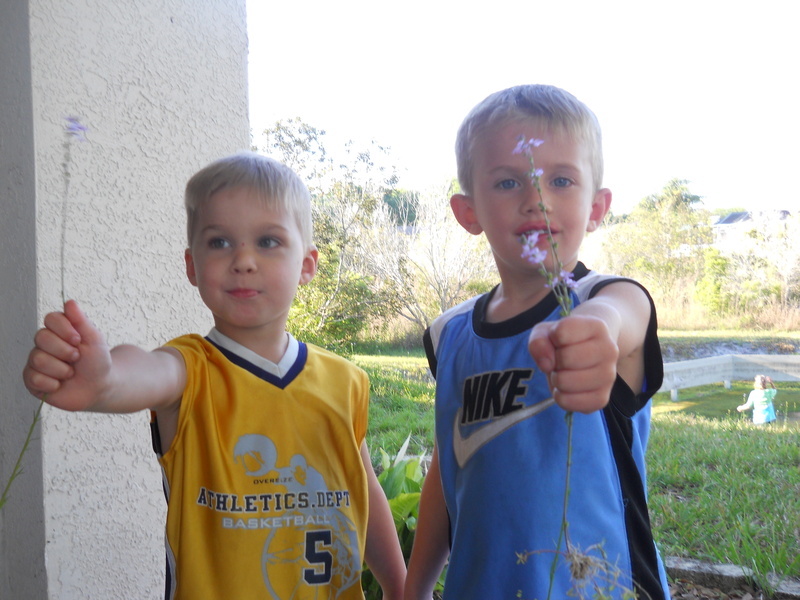 To keep from being a Debbie Downer, I end this post with two positives. Normally, I know that gluten causes my depressions and I can usually push though it. But after deaths of beloved grandmothers, our car being stolen, and now a beloved uncle – who I was looking forward to visiting with again – will quite likely never make it back to the States from England, I’ve been feeling like sludge, both physically and emotionally. 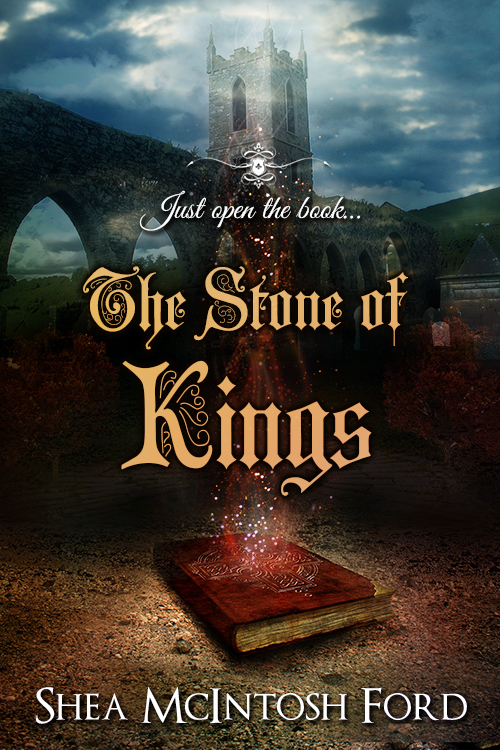 I totally expected to be back into blogging again, but I can barely bring myself to work my edits for The Stone of Kings (which are now overdue). So please bear with me while I get through this mess which is currently my life. For my second positive, I just discovered that the audio version of Harp Lessons has been released! It was quite surreal to hear a professional reader bring my words to life 😀 And I love the beautiful new cover! I’m thinking this may be a good look for our next car. 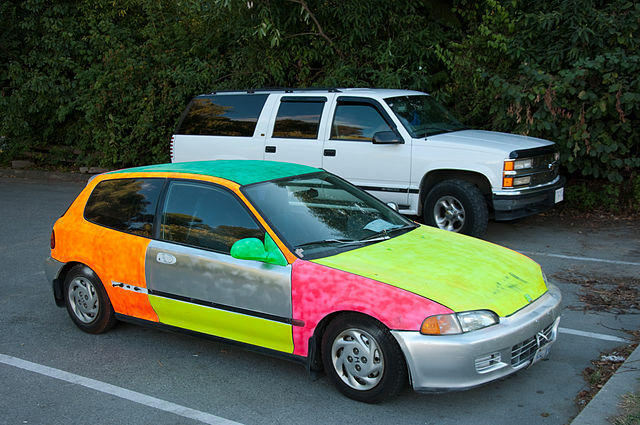 Anti-theft paint! Image attributed to popejon2 from Paddington, Australia via Wikimedia Commons. Okay, so trying to make this fun. Somehow. Who can make anything fun? SNL! I looked up Debbie Downer. I watch Saturday Night Live only occasionally, and I remember seeing a few bits with this character. In the Wikipedia article, it talked about the sketch where Betty White (as the grandmother) tells Debbie not to enjoy her birthday cake because gluten allergies run in her family. Why is this funny to me? I’ve always thought that my Grandma McIntosh (the last of my grandmothers who’s alive) resembles Betty White and she’s the grandmother who has celiac disease. In other words, I inherited my gluten problems from her. So, what is it I’m trying to make fun? Our new year is off to a bang-up start. The big thing is that less than a week into the new year, hubby’s car was stolen. And no, the keys or other valuables were not left inside, nor was it left in a high crime area. On top of that, the boys glutened me again, which, as miserable as I feel, after what happened to the car, it’s the least of our worries. 1. They didn’t take the family car. 2. It was ours – not the bank’s. We don’t have to make payments on something we don’t have since we don’t like making bankers rich taking out loans. 3.We will be getting money toward a new one in the likely event that the stolen one is not recovered. 4. I learned a new emotion to use and correct for a reaction in my NaNoWriMo book: helpless, victimized, anger. My main character is kidnapped, and after this experience with our car, I’ve realized that her parents are not nearly angry enough about it. Anyway. I hope your New Year is going better than ours. Please tell me good happy things going on in your New Year! I need cheered up!